It is official. Kofi Kingston will challenge Daniel Bryan at Fastlane for the WWE Championship. After all the hardship he went through in the past eleven years with the company, one would know that Kingston deserves this opportunity. Thus, it would be only fair if he gets his hands on the most coveted title in WWE history. 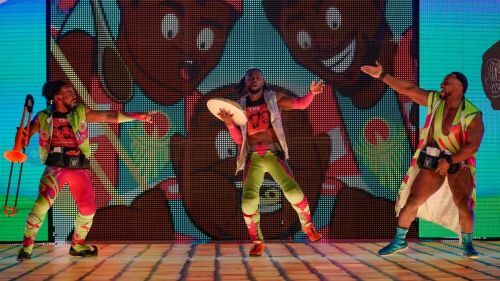 Kofi Kingston had a brilliant last week. First, his endurance in Smackdown LIVE's gauntlet match was applauded by fans all around the world. Then, his resilience and brilliance inside the Elimination Chamber caught everyone's eyes. The demand to give the world title to the New Day member is now more than ever. However, analyzing everything that is happening in WWE, it is tough to see WWE giving the WWE Championship to Kofi Kingston, at least at Fastlane. And in this article, we will take a look at a few reasons why Kofi Kingston will not win the WWE Championship at Fastlane. Don't get me wrong - I love Kofi Kingston. I would be more than happy to be proven wrong here. Fastlane is on March 10. WrestleMania is on April 6. After Fastlane, WWE will only have less than 30 days to build into the WrestleMania storyline for the WWE Championship. For the biggest show of the year, this timeframe is not enough for a title as important as the WWE Championship. Unless WWE is planning to go all the way with Bryan and Kofi Kingston at WrestleMania, a title change is not even on the cards. Kofi Kingston winning the WWE title at WrestleMania would be more memorable than winning at Fastlane. For someone who worked in the WWE for as long as Kofi Kingston did, a major title win should feel important. Rather than having a win at Fastlane, only to lose it at WrestleMania, WWE may have a non-clean finish at Fastlane, allowing Kingston to challenge Bryan again at WrestleMania. Such a scenario will solve the above-mentioned problem as well, since WWE is already building Bryan - Kingston feud and could just stretch it until WrestleMania.